Once you realize there is a problem, call us right away at (865) 986-3015. Water leaks in your Lenoir City laundromat can be a devastating blow. Not only can it cost a good deal to clean up, but it can also slow down, or even shut down, your business temporarily. Whether you are sending employees home during cleanup, managing the distraction, or have lost equipment, water damage inevitably causes your business to take a hit. Preventing water damage from happening is, of course, the best solution. If a water damage emergency has struck your Lenoir City business, you need the professional help of a remediation company who is not going to waste time getting you back up and running. At SERVPRO, we understand that time is money when you are running a business, so work quickly and efficiently to help you with the water cleanup. We also try to take as much stress off of you so you can focus on your business, including speaking to your insurance company for you. 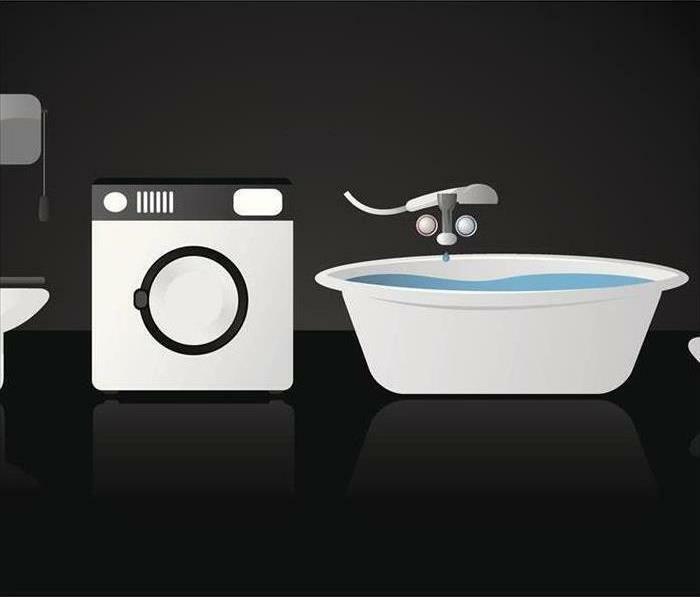 Appliances, like the large washing machines in your laundromat, are common sources for water damage. Other things such as your air conditioning unit, water heater, or if you have a refrigerator on the premise can also cause significant damage. The washing machines especially can release hundreds of gallons of water when water supply hoses fail. Something that SERVPRO technicians have to be concerned about with water cleanup and restoration is deodorizing the affected area after all the water damage is fixed. For your hard surface flooring, we deodorize either by mop application with an appropriate EPA registered disinfectant, or we use fogging with the right odor control. For large surface areas which are severely damaged, we use a ULV fogger. For your walls and ceilings, we can usually deodorize them in the same manner as floors using a ULV fogger or pump sprayer to apply the disinfectant. Your drains and pipes of your plumbing system are susceptible to stoppages and clogs, which then leads to overflowing of toilets, washing machines, and sinks. Just a 1/8-inch crack in a pipe can let loose up to 250 gallons of water per day. The other thing that can cause water damage in your structure is missing, deteriorated, or damaged roofing materials. Any holes in your roof or other roof damage can allow water to enter into your building and run-down walls and ruin ceilings and floors. SERVPRO of Loudon & Roane Counties wants to help you get your business in Rockwood, Greenback, or Tellico Village back on track when you experience a water damage emergency. Once you realize there is a problem, call us right away at (865) 986-3015. You don't have time to waste, and our crew can make sure to keep that in mind. Click here for more about Lenoir City. Each scenario of fire damage is different and must be assessed before starting the remediation process. Call SERVPRO to come out to the scene. In a restoration service after a fire, the typical steps are to remove charred materials and decide which items need disposal as well as what can be salvaged. Often, odors can remain much longer than the fire itself because smoke or soot is residing in tough to reach areas. After thorough deodorization using water-based sprays or thermal fogging those odors can linger causing an unpleasant reminder to the homeowner of previous events. We know that dealing with fire damage in Kingston is as much about restoring infrastructure as it is about tackling odors. Getting a home back to preloss conditions means creating an environment that has no noticeable signs that the damage occurred at all; making it, in essence, "Like it never even happened." To provide this kind of service SERVPRO encourages our technicians to gain IICRC qualifications in smoke odor control as well as fire damage. A stubborn odor may pass with time, but most homeowners want to get back to their every day lives with as few reminders of the fire as possible. SERVPRO can deploy thermal foggers throughout the structure of your home to ensure all odors are removed. Thermal foggers use a heating element to vaporize cleaning solvent.The advantage of this method is that the vapor behaves in much the same way as smoke meaning it enters the same ventilation points, nooks and crannies to neutralize odors. Still, in some cases, a tricky odor can stay behind even after a fogging procedure. In fires that involve high air pressure, it is not uncommon for insulation to expand and become porous. Porous materials imbibe smoke and could be permanently damaged so we may have to remove and replace insulation in your attic or other cavities. If an odor is still hanging around after all other options have been exhausted SERVPRO can deploy advanced Ozone generators. These machines actively alter airborne particles not only neutralizing but eliminating odor particles. Since these machines require a home to be vacated during and after use, we only deploy these when necessary. More often than not a varied approach using all or some of the above is more than enough to tackle the fire and smoke odors. When you need to get your home back to preloss conditions, contact SERVPRO of Loudon & Roane Counties at (865) 986-3015. Click here for more information about the city of Kingston. Will Wall Cavities Dry on Their Own in Your Loudon Home? Water loss incidents present a widespread threat to your residence, beginning at the source of the damage and spreading out quickly from this point to neighboring areas and rooms. With plumbing stretching throughout your entire home from the primary supply line, you have a literal network of piping hidden in the walls, beneath flooring, and above your ceiling materials. Whenever a weak point in this plumbing becomes a breach in the line, the bulk of the effects can occur within wall cavities. Many homeowners mistakenly believe that if left alone that water damage to their Loudon home can resolve itself. While water does eventually dry in many cases, this drying does not occur before substantial damage to structural elements, and secondary effects like mold growth have occurred. A wise decision is to reach out to our highly-trained, IICRC-certified water restoration technicians for a prompt response to the emergency with mitigation solutions to help you right away. Our professionals must first diagnose the point of the plumbing break when we first arrive at your damaged home. 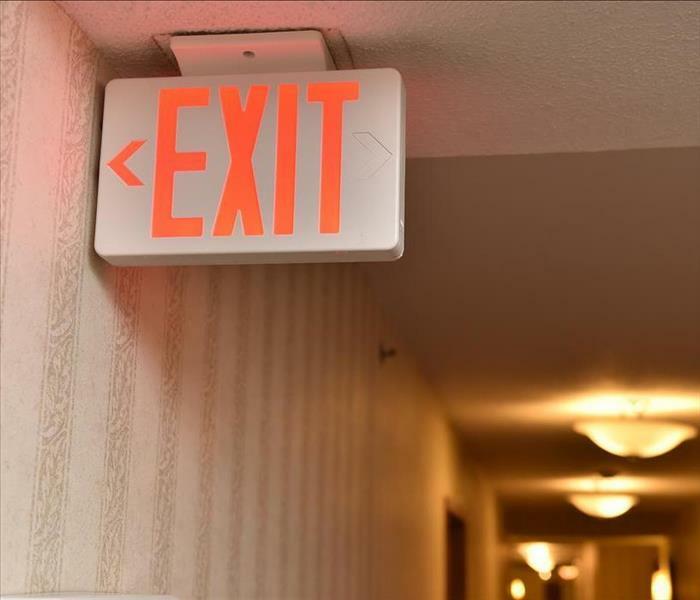 While much of the damage can indicate a general area to begin the search, leak detection equipment can pinpoint precise locations for controlled drywall removal and direct access to the area in need of repair. If our SERVPRO professionals can get notified of the emergency quickly enough, we can often preserve most of the damaged construction materials. With the understanding that you cannot wait for wall cavity water damage and pooling to resolve itself on its own, we can utilize effective tools like our injecti-dry system for a minimalistic approach to drying out the wall cavities using entry points drilled behind where the baseboards line the bottom of the walls. We can double check the effectiveness of these efforts with moisture detection equipment and thermal imagery. In short, it is never a good idea to allow water damage to persist anywhere in your home. You risk structural degradation and mold growth. Let our SERVPRO of Loudon & Roane Counties rapid response team make it “Like it never even happened.” Call anytime at (865) 986-3015. If anything inside your house ever gets wet, call SERVPRO of Loudon & Roane Counties at (865) 986-3015 any time of the day. If excessive moisture ever happens to appear inside your Lenoir City home after a plumbing failure or appliance malfunction, it is wise to call in a professional company such as SERVPRO. If anything located inside the interior of your home gets wet, conducting water removal promptly can help you prevent issues like mold growth. If moisture stays inside your building for too long, the indoor relative humidity levels can rise and make other building materials, not near the source wet. When objects inside your home get wet that did not come into direct contact with liquid H2O; it is considered secondary damage. However, completing water removal quickly after a disaster occurs, can eliminate many of the conditions that can cause secondary issues. No matter how moisture gets into your home, it will always follow gravity and head straight down to your floor and underneath. Our SERVPRO technicians know to focus on wet flooring materials whenever we conduct water removal in Lenoir City. Our crew uses the most advanced technology to remove moisture from your contents and building materials. Once liquids hit flooring materials such as carpet, they tend to spread out before they head down into your subflooring. Depending on how large the leak is and how long it pours out, the bigger the area that will be affected. Whenever dealing with wet carpets or any other building materials for that matter, our SERVPRO team tries to extract as much water as we can while it is still in the liquid form. This is because, once the moisture has soaked into materials or evaporated into the air, then it takes rapid drying to dry out the wet materials and remove water vapor from the air. To begin, we use sophisticated extraction equipment to pull out moisture from your carpets. Then, we determine how wet your carpets still are after extraction by using a moisture sensor. If the carpet and pad underneath it received excessive damage, then they might need to get removed. But, in many cases, the issues can be resolved with prompt extraction and rapid structural drying procedures. Appliances in your home are a notable convenience. With all the time and effort they can save you, it is easy to forget that they are just machines. By their nature, appliances are eventually going to wear down and malfunction over time, and with an appliance like a washing machine, this could spell a very substantial problem for your Lenoir City residence. The trouble with appliances like your washing machine is that they rarely give you indications that they are close to breaking down. Something as simple as a bushing that has gone bad near the drum could be enough to cause the machine to overfill and spill water onto the floor. Worse still, the hoses on the back could break loose, allowing water to flow freely through your laundry area unabated until you notice the problem and manually shut off the valve. Considering the water damage this could cause to your Lenoir City home, you need to know whom to call to help you clean up the mess and restore any harm that the incident might have caused. Our experienced SERVPRO team is available 24/7 for any emergency that you might have. Our emergency response crew can quickly assess the damage and eliminate the source of the water damage if that problem has not already gotten solved before we arrive. Cutting off the water supply to the washing machine prevents further incident while the restoration process gets underway. Extraction of the water is the primary concern, and there are many tools at our disposal to make this process quick and efficient. Depending on the severity of the situation, we can use everything from wet vacs to pump trucks to thoroughly extract all of the present water and prepare the affected area for drying. The volume of spilled water and the placement of the appliance can greatly magnify the water damage. The faster the moisture can get removed from the air and materials, the less likely that conditions would allow for mold growth. Our IICRC certified SERVPRO technicians even use infrared thermal scanning to ensure that all of the water has been successfully dried from walls, floor voids, and flooring, leaving you with the peace of mind that the affected area has gotten entirely restored. If you are dealing with any manner of a water emergency, do not hesitate to call SERVPRO of Loudon & Roane Counties. 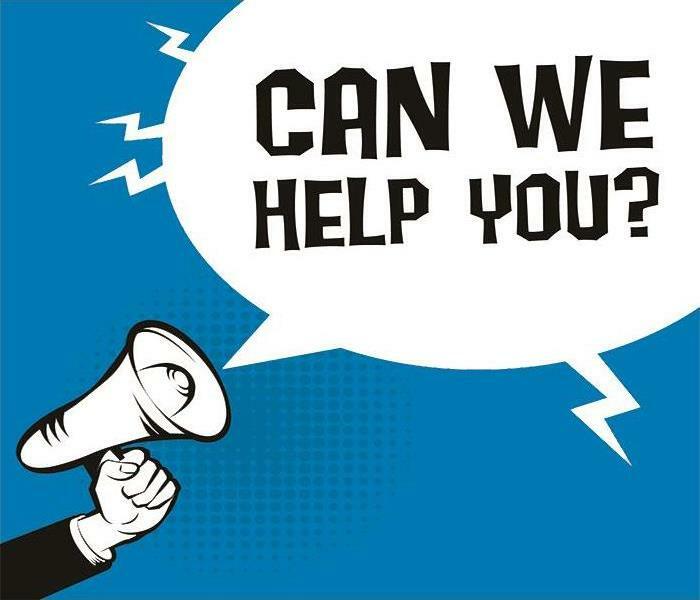 Our emergency response team is available anytime at (865) 986-3015. For more information on the "Lake Capital of the South" click here. When a fire breaks out in a Lenoir City residence, extinguishing the flames is just the first step. 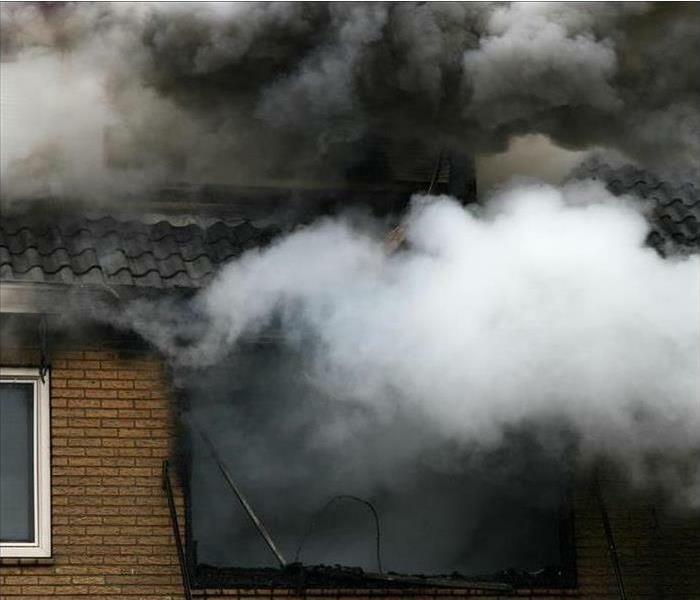 Charring, soot, and smoke damage are challenging problems for the homeowner, and successful outcomes rely on using proper tools, products, and techniques to restore a property to preloss condition. We offer highly-qualified technicians and state of the art equipment to transform fire damage to "Like it never even happened." Once the firefighters leave and access to your Lenoir City house is again available, our fire damage crew assesses the issues. Our production manager develops a comprehensive plan to address all necessary tasks, starting with water removal and damage abatement and then moving on to soot, smoke, and odor remediation. Firefighting typically involves significant quantities of water and sometimes chemicals to extinguish the flames. The unabated damage water does to property is ongoing, destabilizing and deteriorating structures as well as risking secondary harm such as mold growth. It also poses a slip and fall safety hazard for both inhabitants and restoration technicians during the recovery period. SERVPRO crews use powerful pumps and extractors to remove standing water. Then they determine drying goals based upon the moisture content of the affected structures and features. High-efficiency air movers and dehumidifiers move water vapor out of the structure, captured by the dehumidifiers via condensation or desiccant technology. Crews evaluate the soot and smoke damage and employ the appropriate tools and cleaners to remove the residues and restore surfaces. SERVPRO technicians are IICRC certified, trained in the restoration industry's best practices. Light soot and ash respond well to dusting, dry sponging, and HEPA filtered vacuuming. Stickier residues found when the fire smoldered may need spray and wipe techniques or abrasive tools or cleaners to dislodge. Some substances when combusted deposit a lacquer-like coating on surfaces that requires the use of solvents and abrasion to remove. Immersion or ultrasonic cleaning works well for removable fixtures and articles with intricate details. 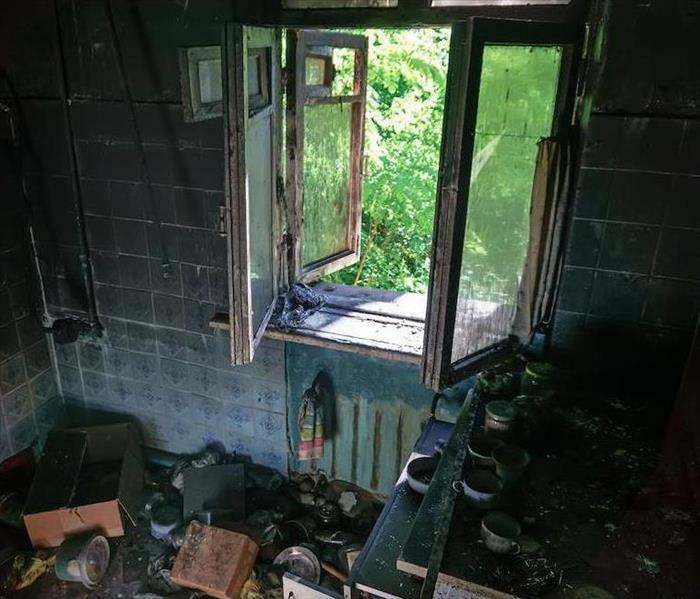 The HVAC system in the dwelling needs inspection as it may have suctioned soot and smoke inside the ducts during the fire, dispersing the debris throughout the property. At a minimum, filters need replacement and more thorough cleaning done by SERVPRO if indicated. After the fire damage, debris and residues are removed, and surfaces cleaned, any lingering odors need attention. SERVPRO (OCT) deodorization specialists use strategies like thermal fogging or hydroxyl generators to change the chemical composition of odor-bearing particles to neutralize them. Occasionally surfaces still emitting odors after cleaning need sealing to contain the smell. Rely on SERVPRO of Loudon & Roane Counties to come to your assistance with confidence after fire damages your home. Work crews are just a phone call away at (865) 986-3015, 24 hours a day, 365 days a year. About the local fire department click here. Any building that has public restrooms such as your office building in Lenoir City, is susceptible to a sewage system failure. If a toilet backs up or if any sewage drain gets clogged, it is vital that you call in a professional commercial water removal company such as SERVPRO. Any time a disaster takes place, our SERVPRO technicians know that getting your offices back up and running quickly is vital. The first step to any commercial water removal project in Lenoir City is to make sure the working area is safe for all occupants. Our crew goes through your office complex and makes sure that there are no potential hazards. If we do find dangerous situations, then we take steps to make the building safe before work begins. Once the work area is deemed safe, our team assess the situation and figures out the extent of the damage. Any time a sink or toilet drain breaks or clogs and backs up the water could be contaminated. If the source of the moisture is a sink, then the water has a possibility of being contaminated and is labeled as grey water or a category two situation. If the moisture source is a toilet or main sewer drain, then more than likely the contamination levels are high, and the project is treated as a category 3 or black water scenario. Any time we conduct commercial water removal with a category 2 or 3 sources, we take extra steps to prevent the spread of the contaminated moisture. When dealing with black water, we are forced to remove any porous materials like carpet and pad that got wet. If the drywall retained moisture, then we may have to remove that as well a foot or two up from the floor. Before we begin removing materials, we establish a containment chamber so that hazardous particles in the air get trapped within the affected region. We then attach an air scrubber to the plastic barrier that pulls any harmful particles through a HEPA filter before getting released in the air. If you ever have a toilet backup or any other type of water damage inside your office complex, call SERVPRO of Loudon & Roane Counties at (865) 986-3015 any time of the day. The Venue at Lenoir City is right here. When you experience flood damage call our trained technicians right away to prevent further damage. We are ready to be at your service 24/7. It is normal for frustration to build up when a flood affects your property. The soils, biohazards, and chemicals in the floodwaters ruin many valuables in the home especially if they are porous. The list of items that you might need to throw out after the incident includes carpets, furniture and building materials such as drywall. Even though insurance compensates the losses, some aspects like the time taken to restore the home, and how thorough the cleanup is, frustrate many people. Our professional services help Harriman homeowners navigate these incidents conveniently. Taking long before starting restorative processes after flood damage in Harriman leads to the ballooning of frustrations since you are not sure what sort of loss you have to address. Our SERVPRO team helps alleviate this by responding to your call within an hour, and arriving at the loss site within a few hours. Such a fast response is possible because we have fully equipped storm response trailers. Inadequate assessment of the damage caused by storms leaves many homeowners devastated, especially if it involves teardown of a considerable section of the house or disposal of many items. Our SERVPRO technicians work closely with your insurance adjuster to ensure all parties involved agree on what needs to be thrown out or saved. We also use advanced moisture detection tools including moisture sensors and thermal cameras to track moisture migration giving a clear picture of the resultant damage. 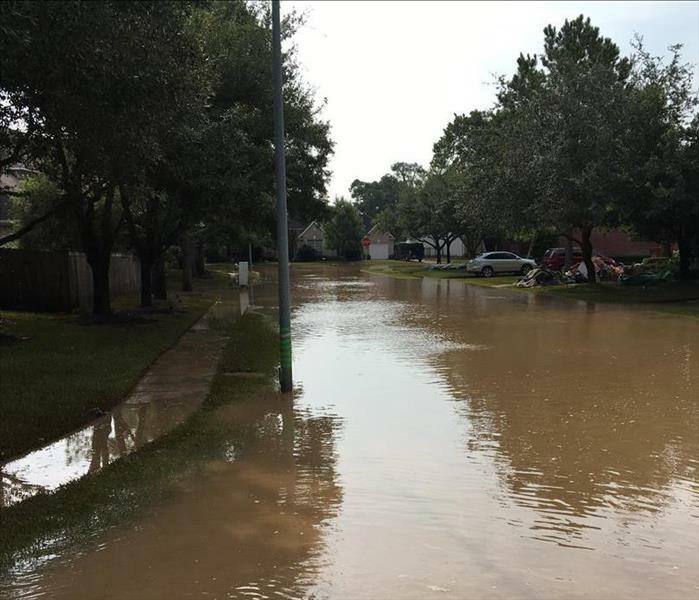 Many homeowners are worried about the cleanliness of their homes after a flooding incident. The floodwaters leave different soils including silt, traces of biohazards like sewage and chemicals such as pesticides. A Bad odor might also develop when homes flood. Our SERVPRO technicians take several measures to ensure the affected home is cleaned to sanitary levels. We spray EPA-registered disinfectants into the floodwaters to control microbes. We also use OSHA approved cleaning agents to sanitize any affected areas. To cope with the losses caused by flooding in Lenoir City, Loudon, and Oak Ridge, call SERVPRO of Loudon & Roane Counties. You can reach us at (865) 986-3015. We're Faster To Any Size Disaster. New farmers and vendors wanted for the farmer's market click here for more information. If You Have A Mold Issue In Your Harriman Home Our Specialists Can Help! SERVPRO of Loudon & Roane Counties are experts in cleaning mold from your home. The dreaded mold that every homeowner in Harriman never wants to see needs a few conditions to be able to grow. Understanding these can help you keep the mold from invading your family’s space. 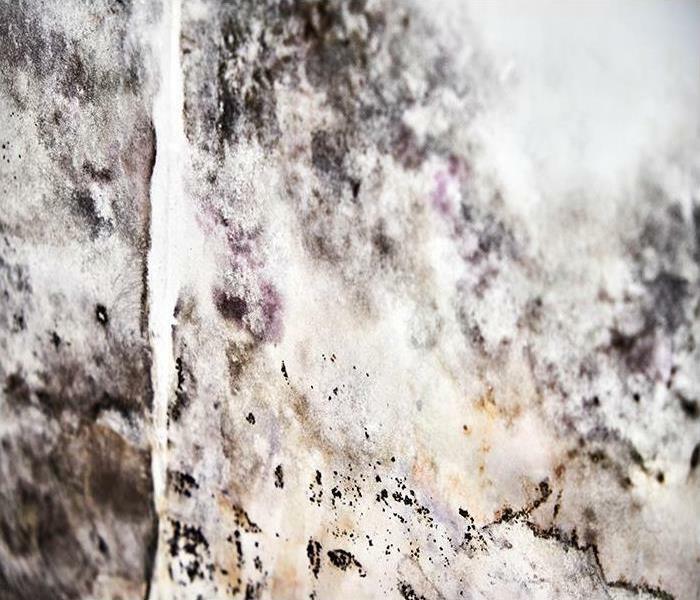 Mold needs things such as mold spores, a food source like drywall or wood, darkness, moisture, warmth, oxygen, and enough time (most molds can start growing in only 24-48 hours when the conditions are ideal). What do you do when you find mold and mold damage in your Harriman home? You shouldn’t try to clean an infestation on your own, as typical household cleaners are not good enough to thoroughly clean it up. Instead, reach out to our professionally trained staff at SERVPRO. We have all the tools and training that is needed, plus the proper equipment, to rid your home of the nasty stuff and keep it from spreading further. 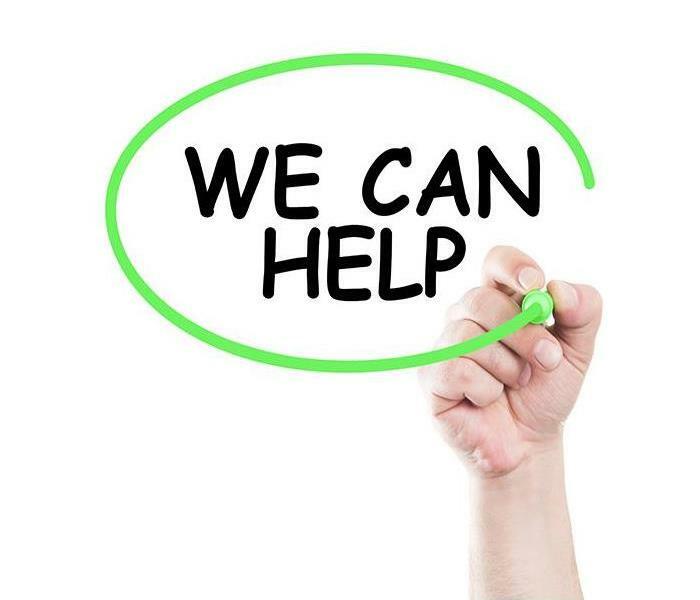 Because of the short time mold needs to make itself known, don’t hesitate to reach out to us at any time. 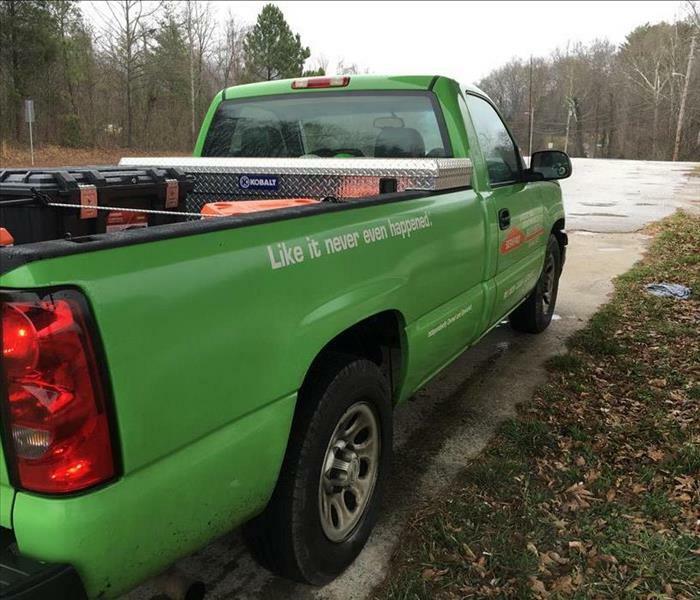 Our SERVPRO techs waste no time arriving at your home to help. We first contain the affected area with plastic sheeting to prevent clean areas of your home from becoming infected while we clean. We can use different methods of cleaning depending on the surface that the mold is on, and some porous materials like drywall may need to be removed and replaced to dispose of the mold properly. Humidity is a huge culprit of mold. If the weather has been especially humid for a few days or you live in an area where humidity is high naturally, mold growing in your home can be a common sight. Ensure your home is well ventilated in these cases. Leaking pipes or roofs can also create mold. These types of leaks can be the worst, as they can go unnoticed for a time, allowing the mold time to start growing and then to spread. Make sure you are regularly inspecting your roof for damage to avoid those types of leaks. Even cold surfaces can be a problem, as they can create condensation. The condensation collects on cold concrete floors and metal pipes. Anywhere condensation collects are primes spots for the growth of mold. Another common cause of mold is water building up in the ground around the foundation of your home, which is why you need to ensure the ground is sloping away from your home rather than towards it. If needed, some landscaping can be done to prevent this, or you can even dig ditches or drains to channel the water away from your structure. SERVPRO of Loudon & Roane Counties are experts in cleaning mold from your home in Tellico Village, Kingston, or Rockwood. Hopefully, it won’t be an issue for you, but if you find an infestation for any reason, get in touch with our crew right away by dialing (865) 986-3015. Click here for more about Harriman. Now that the weather is dreary and cold, we need to be extra vigilant of the dangers threatening our homes. Aside from concentrating on the consequences of below zero temperatures, such as frozen pipes, ice dams, and snow-covered driveways, we need to be vigilant of those materials that might ignite and incur fire damage to our homes. Something as simple as a faulty furnace or wire can be the beginning of a very traumatic experience. Luckily, SERVPRO is here if ever your home in Harriman faces fire damage. Even as you vacate your home, our team of experts is here to guide you through the process of making your home inhabitable once again. Our support is triggered by your call, and we are ready to take action 24/7 through our rapid response team. 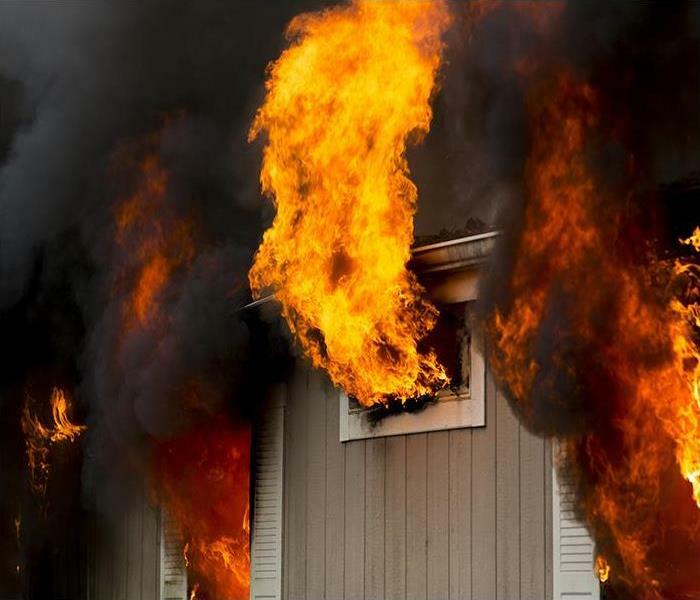 Our team’s training and expertise help you restore your home quickly and effectively, minimizing as much as possible the collateral damage of the fire. Frequently our clients express desperation when they see the soot damage caused by the flames. It feels like every single surface is saturated with soot, including your carpets and upholstery. Before you attempt to remove any residues, allow our SERVPRO crew to apply their industry knowledge and devise a plan suitable for each section of your home. Through training, we know that each material requires a specific substance and methodology when removing the remains of smoke and soot, and we can take the proper steps. Applying inappropriate cleaners may result in even more damage and further delay. It's best to leave this process to the professionals. Lingering odors is also a by-product of fire damage to your home, which is why we also address the issue as part of the remediation process. Along with traditional cleaning methods, such as shampooing and disinfecting your carpets, we also apply advanced techniques to neutralize and eliminate any odors that cling to your home and furniture. Keep in mind that at SERVPRO salvage as much of your home as possible. However, when carpets and upholstery have been drenched in water for too long, or have been affected by debris, we may proceed to remove it before it becomes a health hazard. 2/20/2019 - If You Have A Mold Issue In Your Harriman Home Our Specialists Can Help!